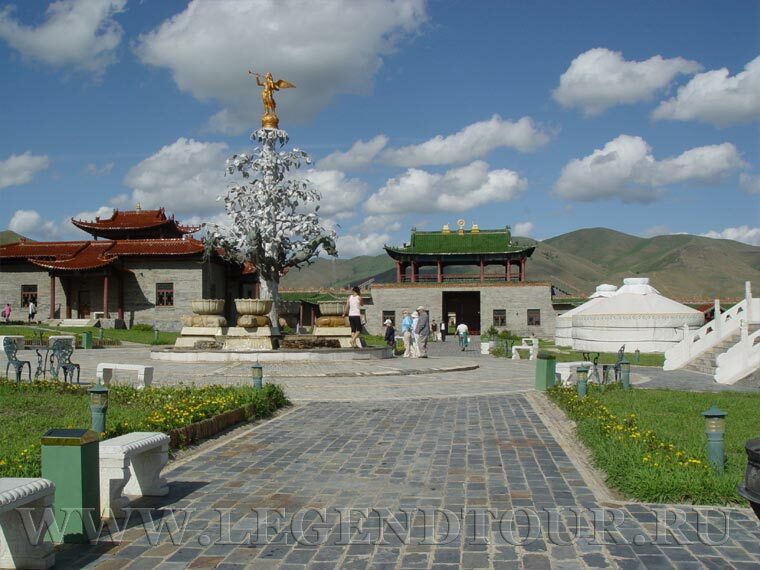 Mongolia Hotels - List of Mongolia Hotels and Resorts with affordable Hotel Rates. Hotels in Ulaanbaator. 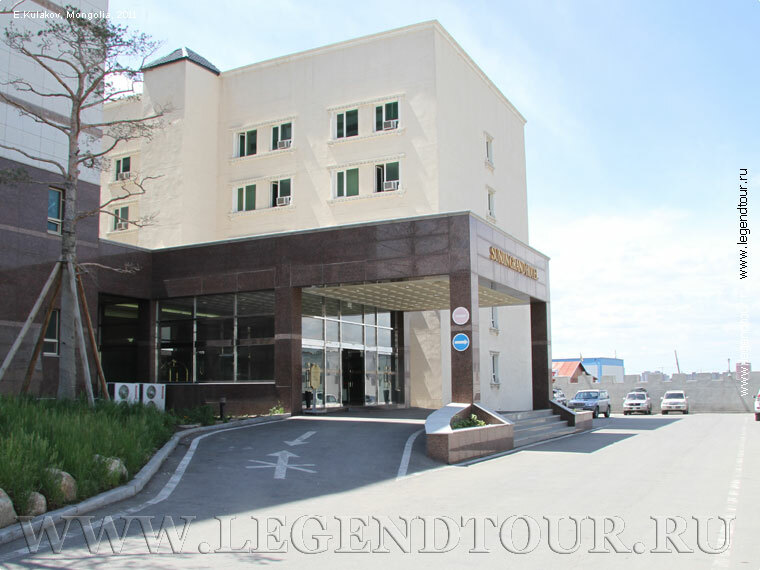 To avoid you from facing hotel accommodation problems in Mongolia due to full bookings during the tourist peak season and any unreliable services, Legend tour is happy to book the best hotels in Mongolia for you. 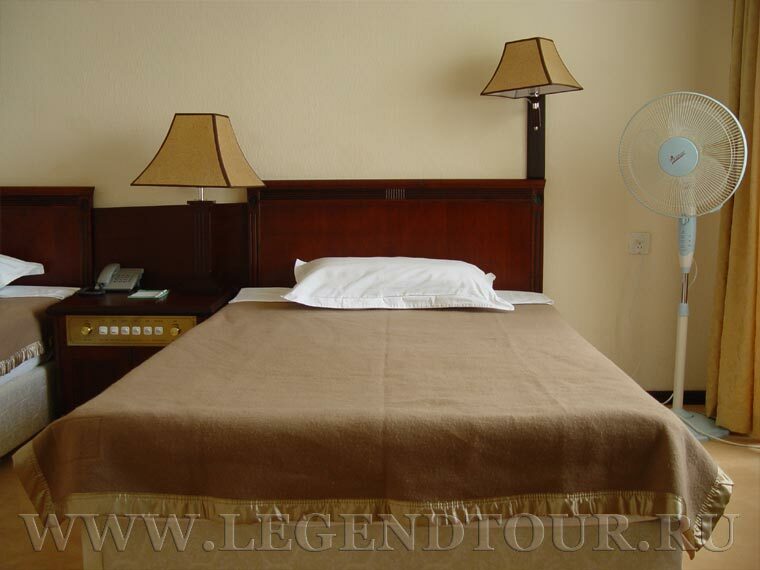 Booking your hotels in Mongolia with Legend tour gives you access to discounted rates that are unavailable directly from the hotels. Simply click on the name of the hotel for full information about hotel. 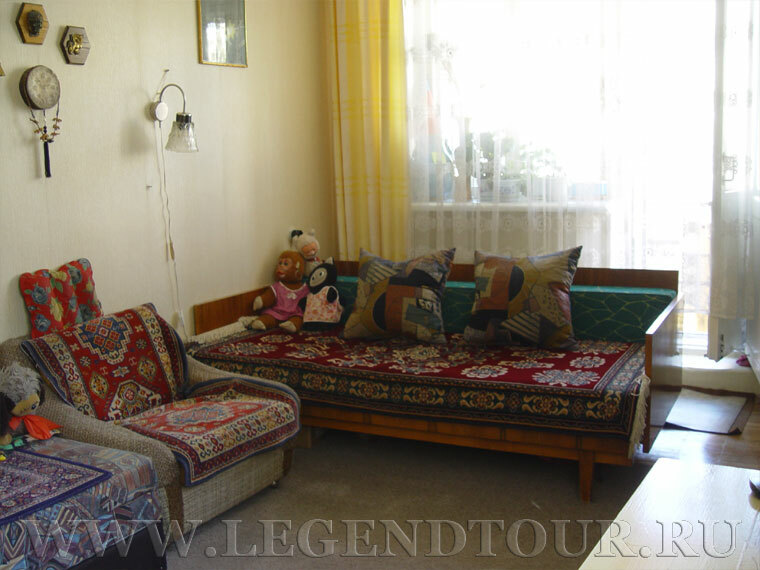 If you are building a complete itinerary with Legend tour, please inform us about your hotel choices. If you are only booking accommodations, please list your hotel preferences when contacting us. Listed below is our best priced and most interesting accommodation for travelers seeking a place to stay in Ulaanbaatar. 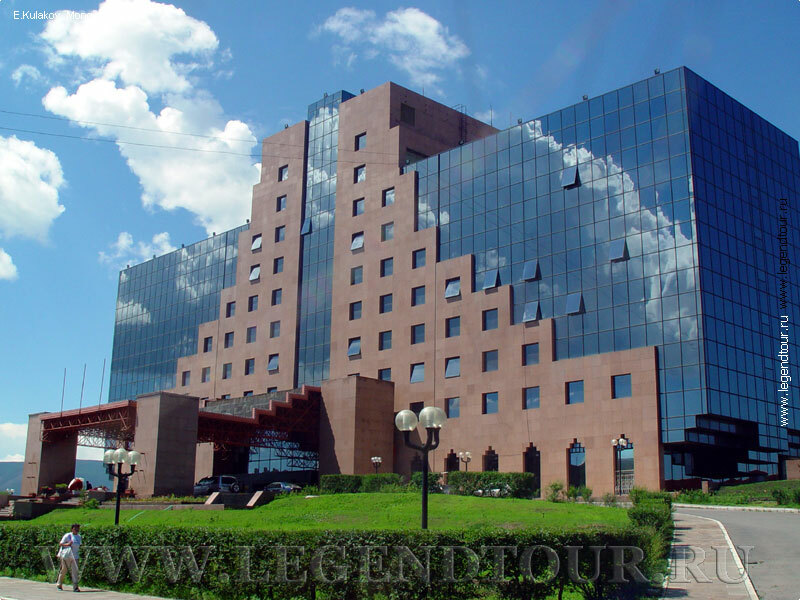 If there is a Mongolia hotels not listed here that you would like to book, please contact us. 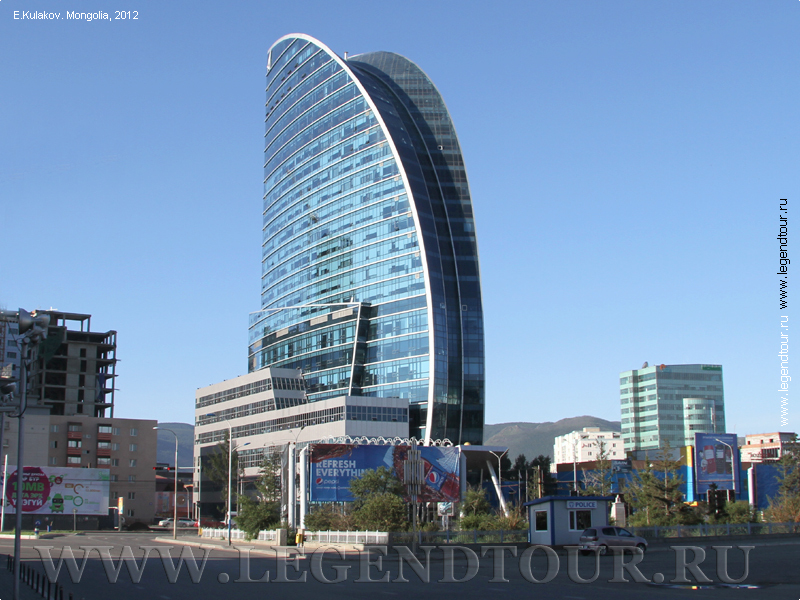 The Blue Sky Hotel and Tower Sky 5*****, Ulaanbaatar, Mongolia. 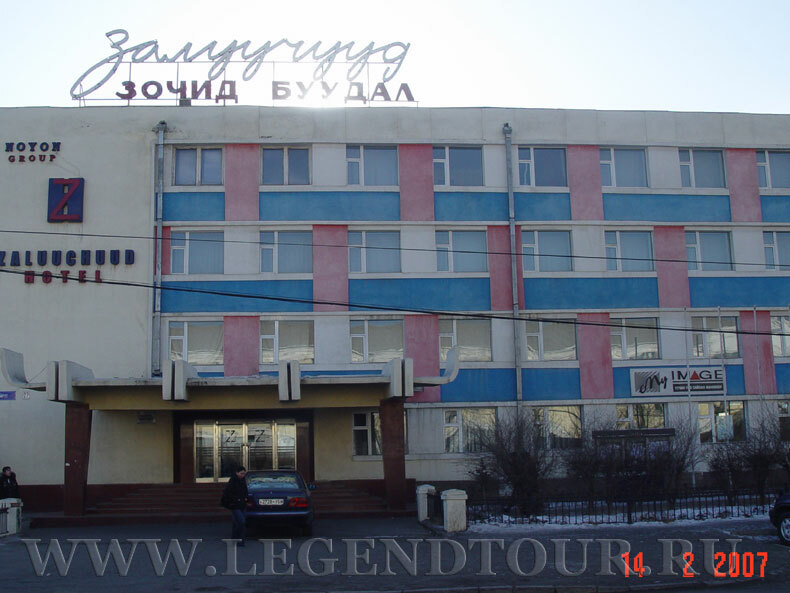 The hotel "Blue Sky" is located in the heart of Ulaanbaatar city, in front of the Sukhbaatar Squire. 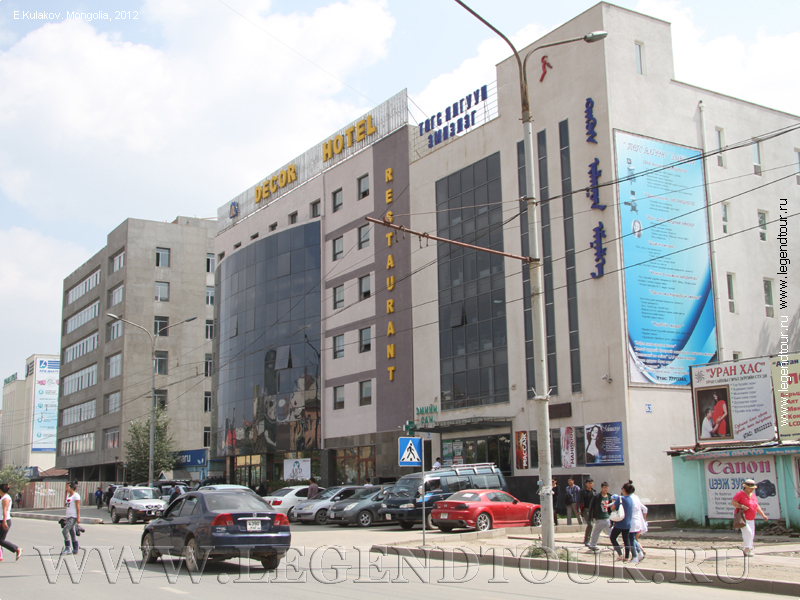 Hotel «Best Western Premier Tuushin hotel» (the luxury class hotel) is located at the center of Ulaanbaatar city, on the Eastern side of the main Squire of Ulaanbaatar. Ulaanbaatar hotel 5*****, Ulaanbaatar, Mongolia. 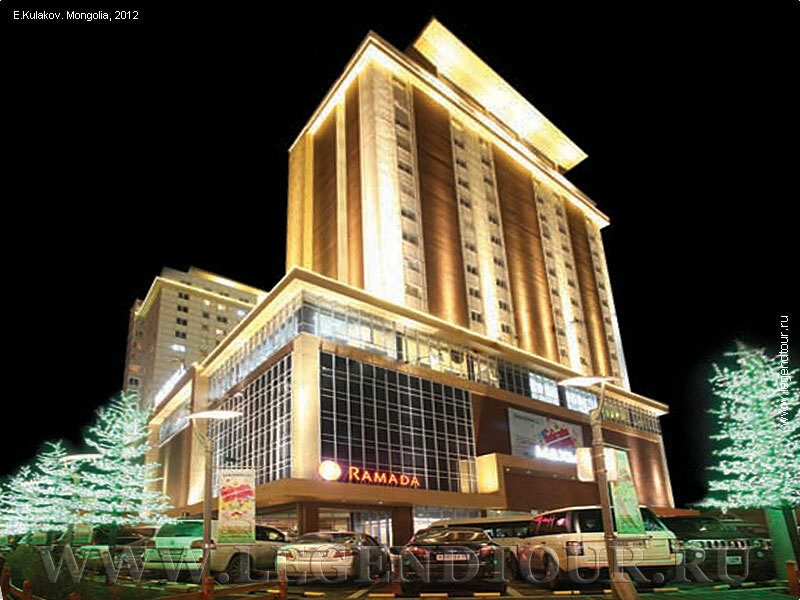 The first five star hotel in Mongolia. 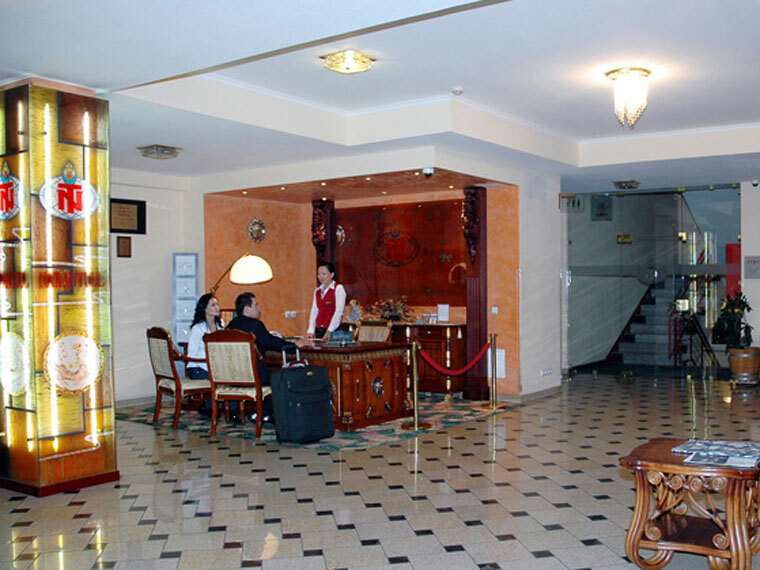 Hotel Ulaanbaatar operates more than 40 years of hotel business through the Mongolia and has many years of vast experience in this area. 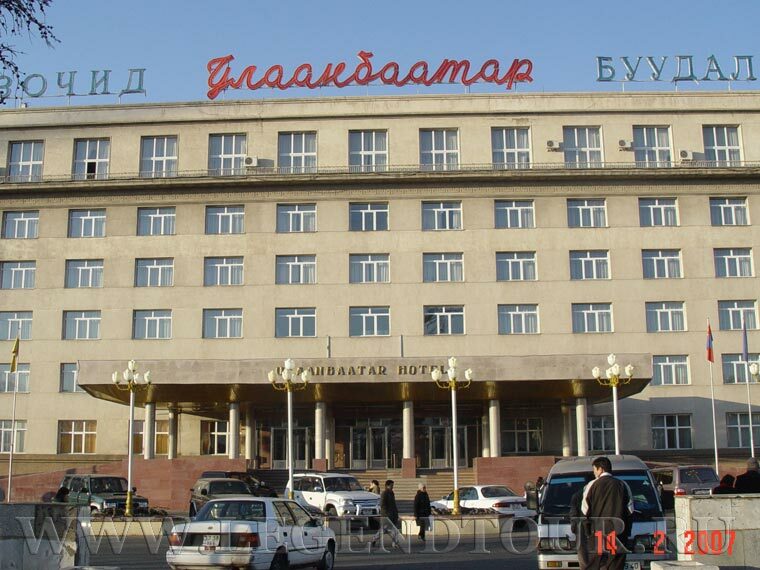 The Ulaanbaatar hotel lies in the most popular downtown of Ulaanbaatar city and 100m from main	Sukhbaatar Square. Terelj Hotel (Terelj) 5*****, Gorkhi-Terelj National Park, Mongolia. 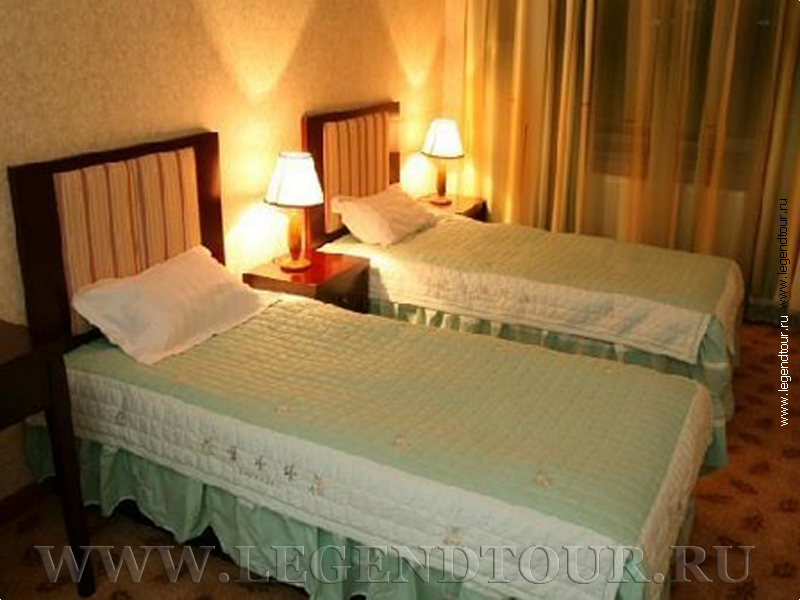 The Terelj hotel is the first International rated hotel in Mongolia. It is high standard, modern, luxury hotel offers truly unique experiences. Located 80km from Ulaanbaatar in Gorkhi-Terelj National Park. Hotel "Ramada" 4**** is located at the central part of the city, around 2 km to the west from the center, near Gandan Function monastery. Kempinski hotel Khan Palace****, Ulaanbaatar, Mongolia. 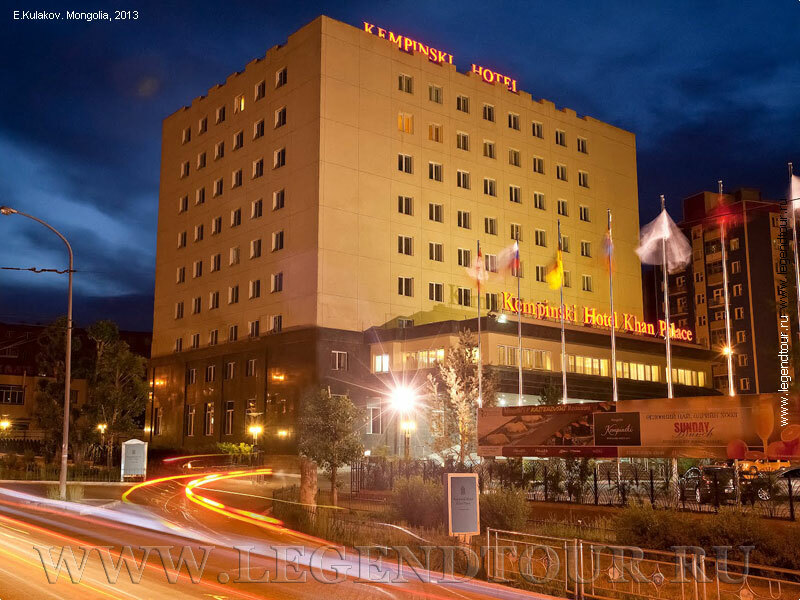 The Kempinski Hotel Khan Palace is located in the heart of Bayanzurkh district, the hub of Ulaanbaatar and within easy reach of shopping malls and bazaar, popular restaurants and the Opera House. Whether your stay is for business or pleasure, Kempinski Hotel Khan Palace is the hotel of choice when visiting Ulaanbaatar. Chinggis Khaan ****, Ulaanbaatar, Mongolia. Bayangol Hotel ****, Ulaanbaatar, Mongolia. Sunjin Grand Hotel****, Ulaanbaatar, Mongolia. The careful and dignified service of the Korean-owned Sunjin Grand Hotel ensures your comfort. The best restaurant displays delicacies from around the world. Experience the purifying pleasure of luxurious spa treatments. 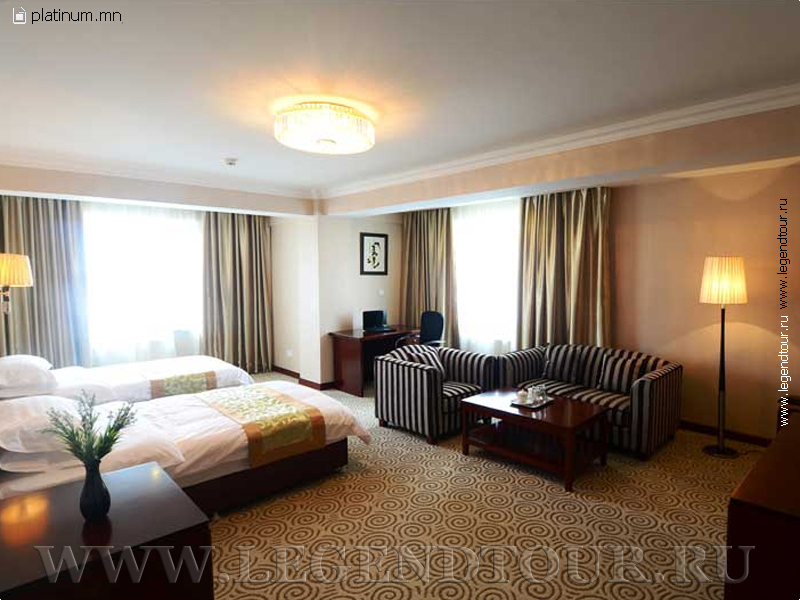 Within its short life, Mongolia Sunjin Grand Hotel is already renowned as a world-class hotel. Sunjin Grand Hotel awaits to be the service for business travelers away from home. Our brand new hotel was established in June 2009. We are located in a very central area of Ulaanbaatar city right to the south of the Ministry of Foreign Affairs of Mongolia featuring much easier access to Sukhbaatar Square, the heart of the city. 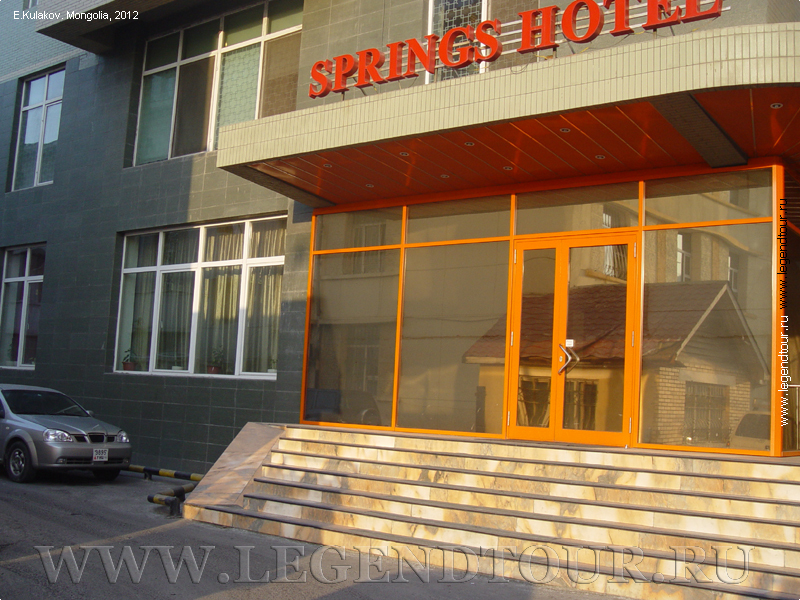 The main features of Springs Hotel are its brand new facilities and low price. 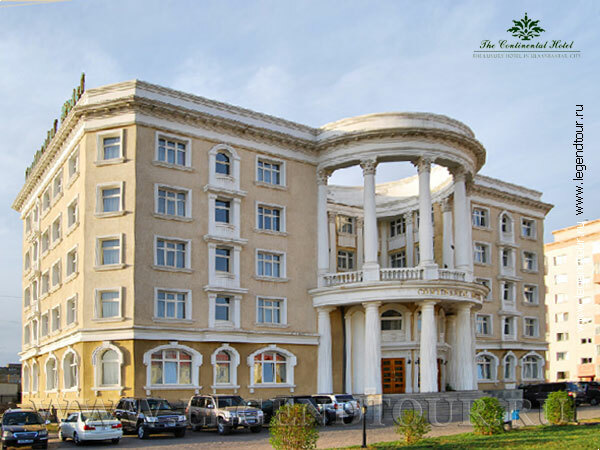 The Palace Hotel is conveniently situated among a number of city tour attractions of Ulaanbaatar , including the Bogd Khaan Palace Museum , Naadam Stadium and Zaisan Hill , all of which are located within a few minutes walk. The location of the hotel is a very quite and clean area with fresh air of Tuul river and forests of the Mt.Bogd Khaan. The Platinum Hotel 4* was newly finished in 2013 and hence is equipped with abundant modern facilities and well-trained, professional staff. The Platinum Hotel 4* is centrally located near the Peace Bridge, one of Ulaanbaatar's main attractive constructions. UB City Hotel****, Ulaanbaatar, Mongolia. The UB city Hotels Friendly and helpful team is always ready to welcome you and provide real hospitality, from our hearts. 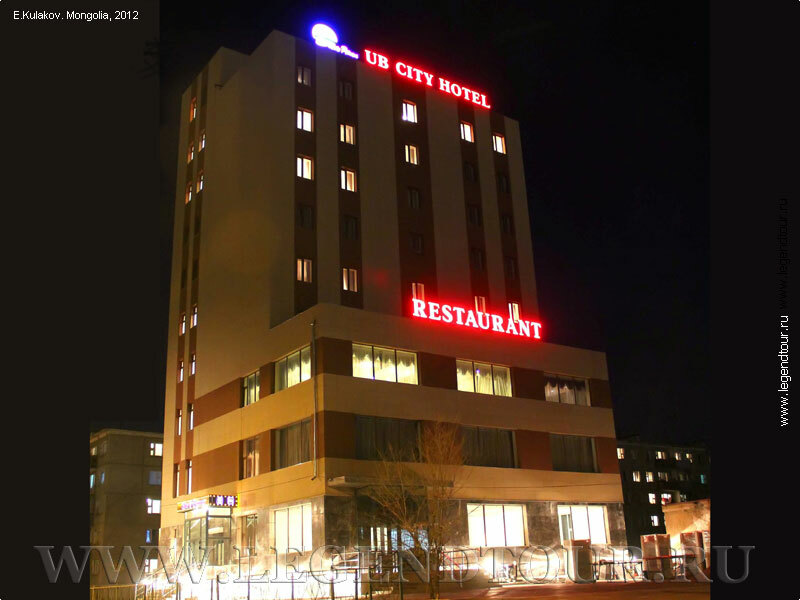 UB City Hotel is located in the southern part of the Business area of Ulaanbaatar, the Capital city of Mongolia. Hotel Mongolia****, Gachuurt village, in the Bayanzürkh district of Ulaanbaatar, Mongolia. 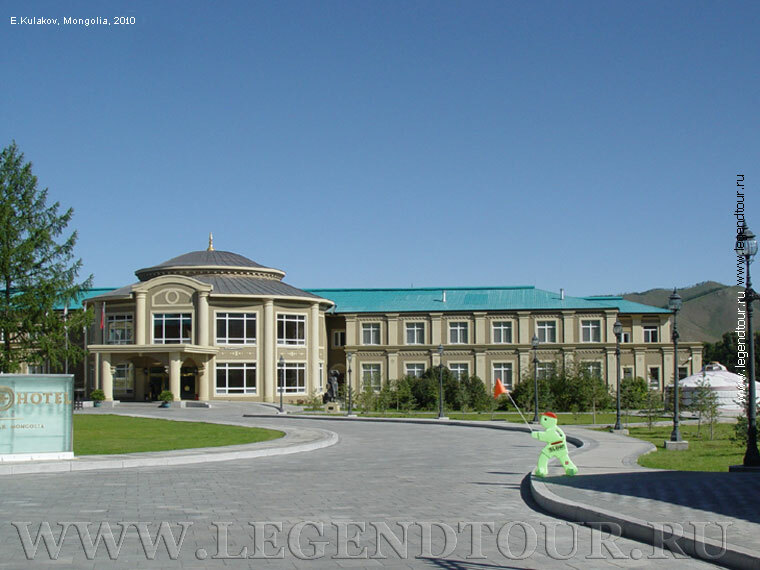 Hotel Mongolia, called " Mongol shiltgeen" in Mongolian, is built after the model of ancient of Buddhist Temple. 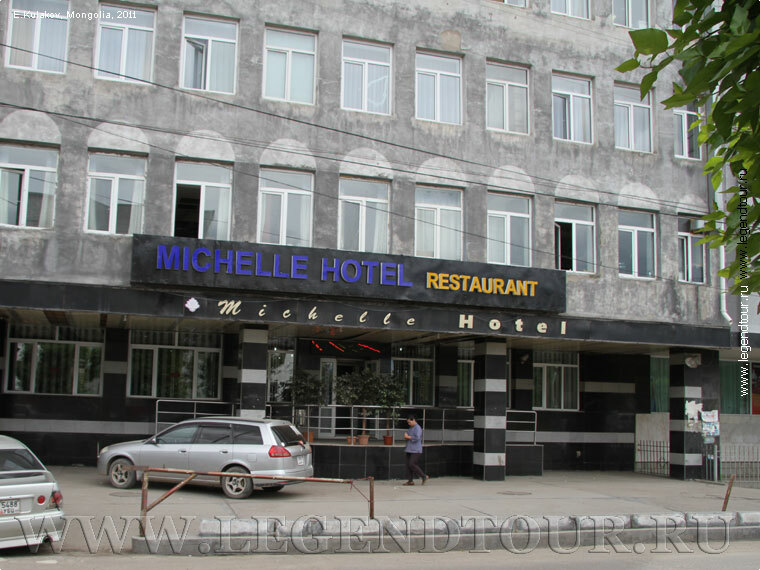 The Hotel is situated in a wide valley of Tuul River, about 20 minutes drive from Ulaanbaatar, Mongolian capital city. The Northern main gate leads directly into a spacious lobby with high brick walls, which reminds you of an ancient "Forbidden City". 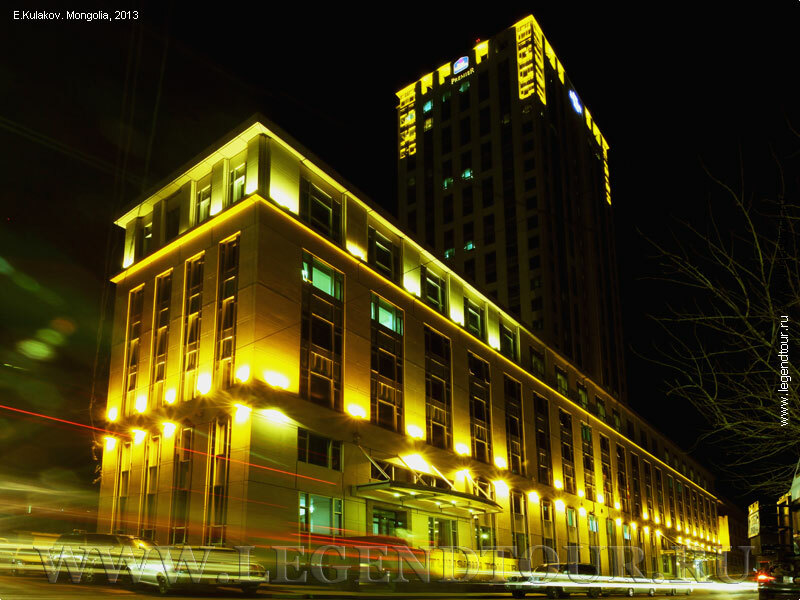 Continental hotel is located in a calm area of foreign embassies within easy reach of Sukhbaatar Square. Puma Imperial ***, Ulaanbaatar, Mongolia. 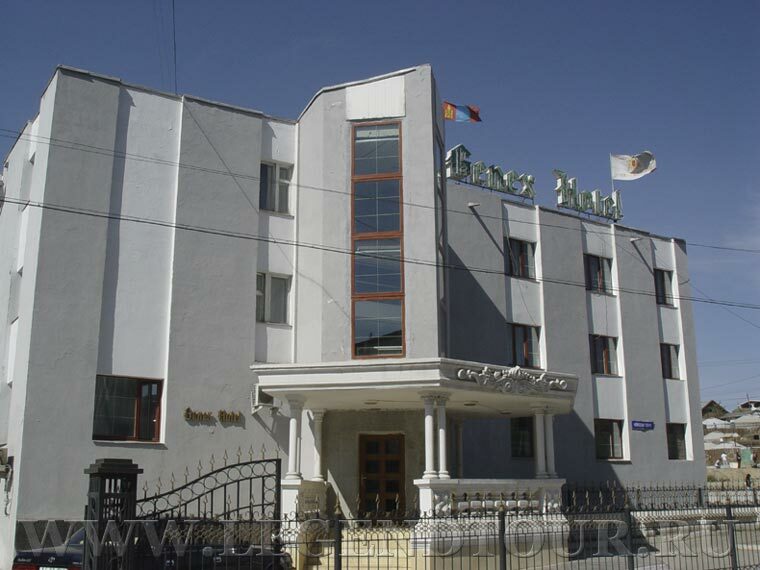 The Puma Imperial *** hotel is comfortable hotel situated in the heart of Ulaanbaatar city and conveniently located near The Government House, Central Bank, national Historical Museum, Natural History Museum, Science Cultural Center and Central Post Office. Отель Kaiser 3* расположен к северо-востоку от площади Сухэбатора. Штат отеля создает для своих клиентов теплую семейную обстановку, в которой гости почувствуют себя, как дома. White House Hotel 3*, Ulaanbaatar, Mongolia. White House Hotel 3* is located in the east side from the city center. 30-minute drive to the International airport and 7-minute drive to the railway station. Zaluuchuud hotel is located in the east side from the city center. 30-minute drive to the International airport and 15-minute drive to the railway station. 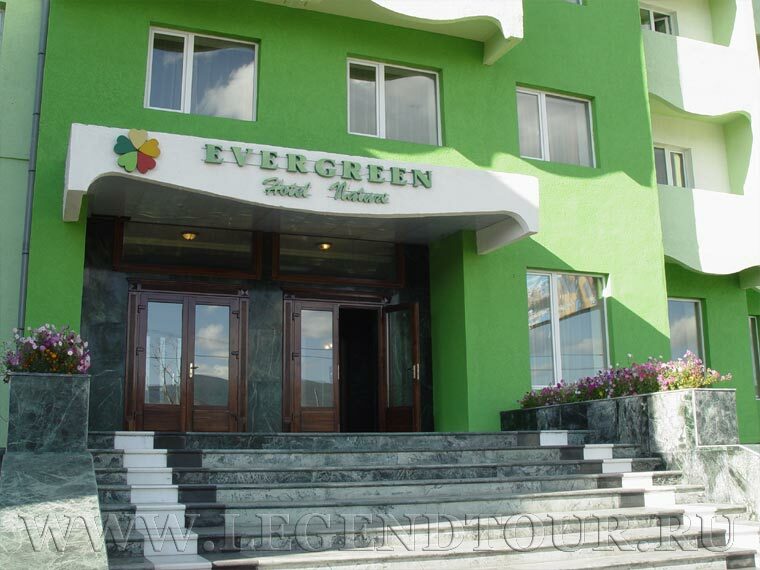 The***Evergreen hotel is less than 10 minutes walk from train station in Ulaanbaatar city. It is relaxing and enjoyable hotel in the downtown. Offer wide range of facilities and well equipped rooms. Гостиница Micheller*** расположена в 1 километре от площади Сухэбатора, напротив посольства КНР в Монголии. 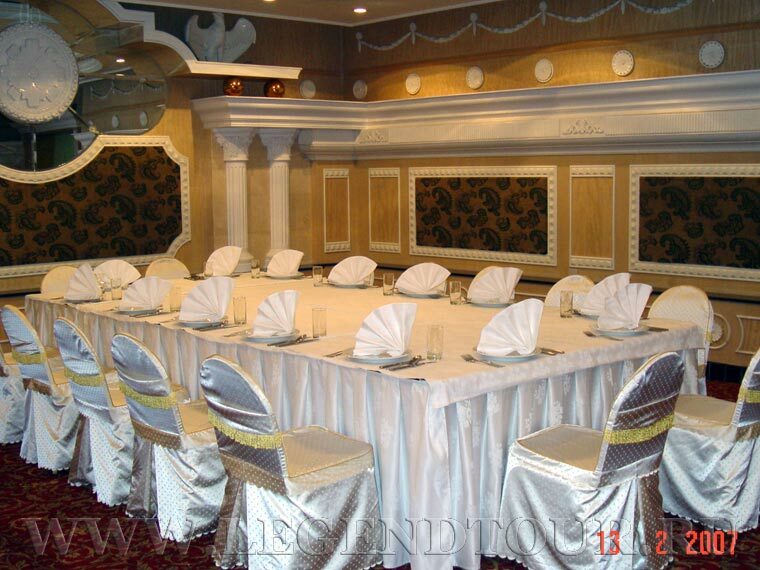 The Decor hotel's aim is to give the best services to all guests. Decor hotel has 30 rooms, including 3 suite rooms, 8 deluxe rooms, 9 semi deluxe (king size beds) and 10 standard room (queen size beds). Narantuul hotel*** is situated in the centre of City and nearby "Gandan Monastery" and State Department store. Modern designed building and classic accomplished hotel Naranruul serves by special equipped and ideally suited for both business and leisure guests 24 rooms with kitchen room, office room and kid's room. 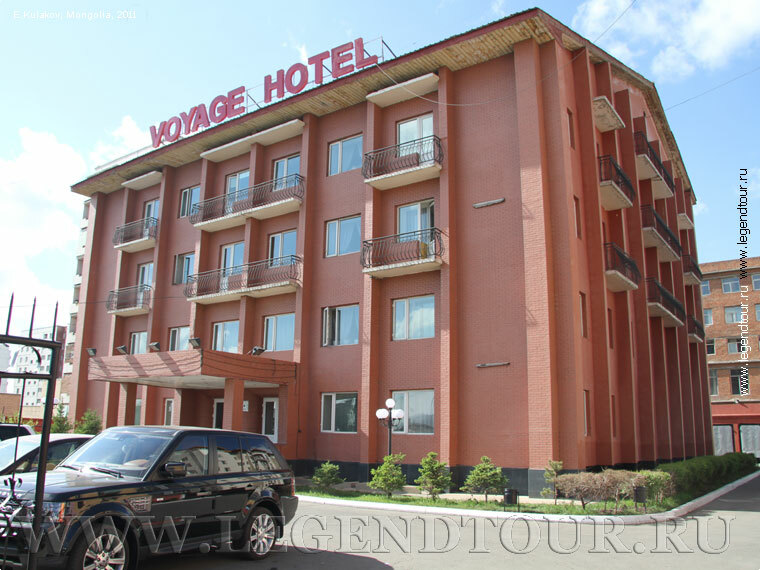 The Voyage hotel*** is suitable for guests who wants to stay near the train station. It is located at the center of Ulaanbaatar city, just 400m from UB Railway train station and 20 minutes driving from Chinggis Khaan airport. 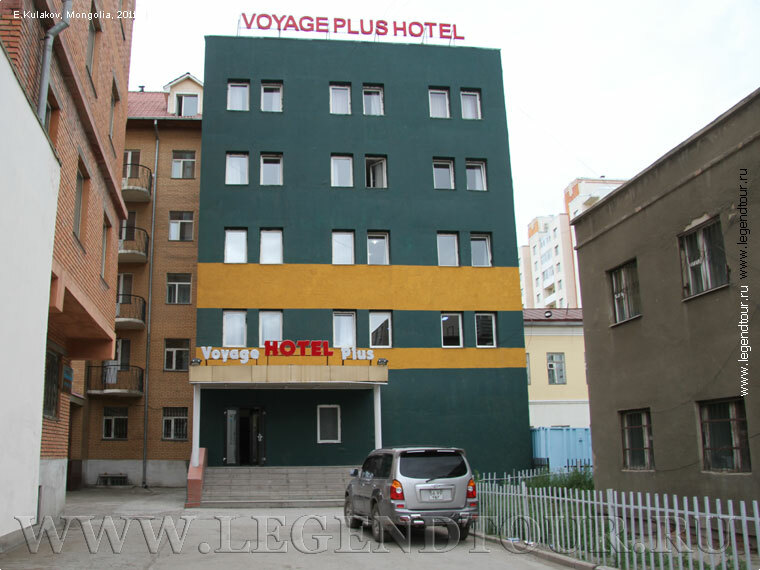 Voyage Plus Hotel***, Ulaanbaatar, Mongolia. It is a great pleasure to welcome our guests. 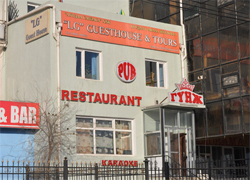 Our hotel is located in the northern part of Ulaanbaatar city having an easy access to downtown area. 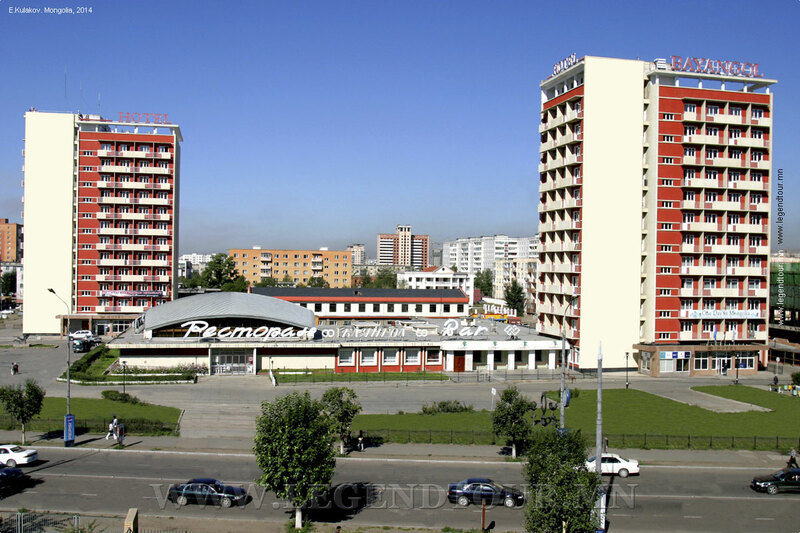 It is within only 1km from the Sukhbaatar square and is located nearby main road of Baga Toiruu Street, in middle of old apartment building area. 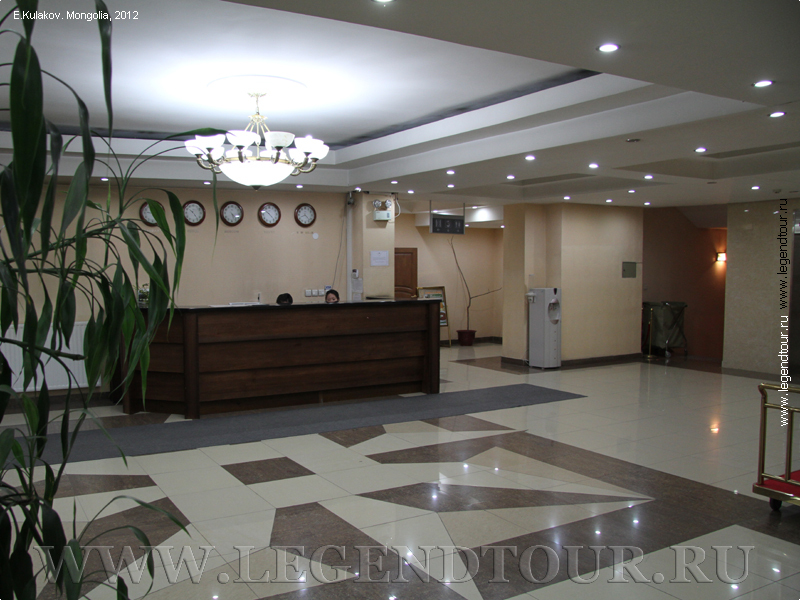 Гостиница Дженекс 3* (Hotel genex 3*), Ulaanbaatar, Mongolia. Отель Genex 3* (Дженекс 3*) расположен недалеко от действующего буддийского монастыря Гандант (Gandan Monastery). Ulaanbaatar-2***, Национальный парк Тэрэлж, Mongolia. 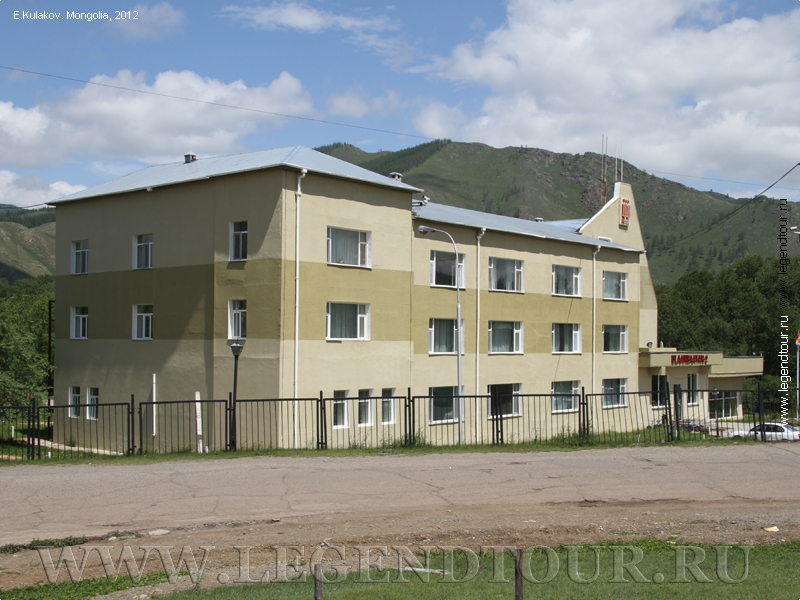 The UB-2 Hotel in Terelj, is located in beautiful Gorkhi-Terelj Reservation. In UB - 2 Hotel they are 37 Deluxe and Standard rooms, have capacity to receive 60 person at one time and with 15 Gers- Mongolian National accommodation have capacity to receive 70 person at one time. This hotel is working whole year. Kharkorum hotel 2+**, Ulaanbaatar, Mongolia. 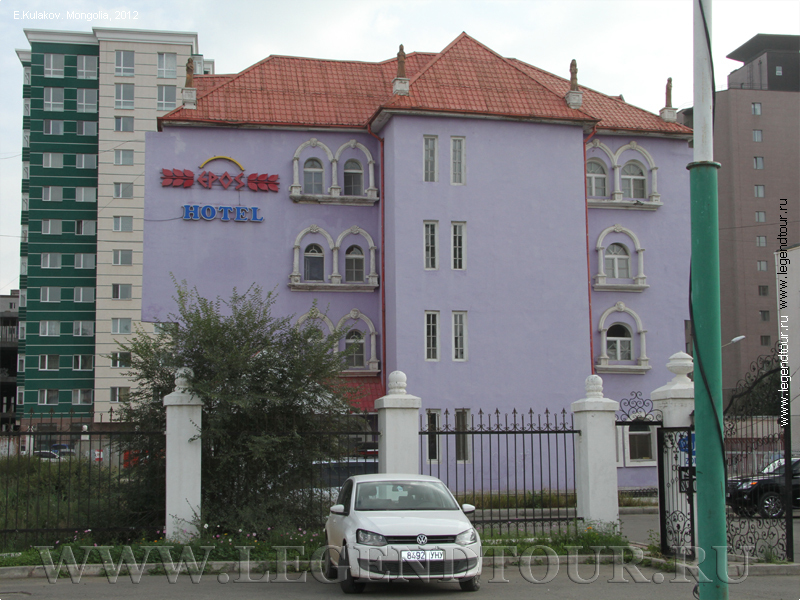 The Kharakorum Hotel is located in downtown Ulaanbaatar just next to Pethub Monastery. You will enjoy high quality service in one of our 36 comfortable rooms in different categories. All rooms are equipped with modern insulating windows, cable TV, telephone and bathroom with shower. Hostel LG guesthouse, Ulaanbaatar, Mongolia. К вашим услугам 3-этажный корпус с комфортабельными недорогими номерами и уютным кафе. Гостиница находиться в 1.5 километре от центра города, близко к железнодорожному вокзалу. Проживание в семье, Ulaanbaatar, Mongolia. К вашим услугам 2 комнаты в квартире, расположена на 4 этаже пятиэтажного кирпичного дома. Дом располагается в 15 минутах ходьбы от центра города, напротив гостиницы Чингисхаан. Русскоговорящие хозяева. If you have not found the necessary information or the hotel required to you is absent in the list address to employees of travel company "legend tour" and we shall help you. Transfers between 11pm - 7 am local time incur 15% surcharge. If for you it is necessary transfer, the guide or other services, inform us on it at the reservation of hotel.